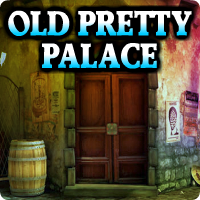 AvmGames - Avm Old Pretty Palace Escape is another point and click escape game developed by Avm Games. You are the Old Pretty Palace. You reigned for almost three decades and you still want to remain at that position. However, not all things go your way. You are too old to rule the town and your nephew is there to help you to fulfill your duties. But what they did not know is that your young nephew is evil and he will do everything to keep the Palace's treasures. He has an intuition that you will come out later and inhibit the coronation. So what he did is he commanded the knights to lock you in your room. This is to prevent you from making a scene at the coronation tonight. You have to prove that you are still the king and what he is doing is not right. The coronation will start in a few minutes so you have to escape from the room. Good luck and have fun! 10 votes with 5 stars and not 1 single comment?? Hi Hotz, maybe been out earlier on other sites? hi Dazz, what colored picture? any idea for #slider in S8? no, Hotz, maybe need clue first? trying @sophie, but which code it works on? have to leave, see you guys and thanks! I think the slider in s8 is linked to paper with 40. Still have to do the math. Sophie, but you know how to get this numbers? Paper with 5 pairs of 2 digits is used on the butterflies. If that's the math slider (making 40) then it's 2 in the centre. where do the colors from the s6 puzzle go? thanks BBB, but I will make a break and will try again later. I've used the 8264 paper 3 times, still have it. Where is it used again? Nothing in inventory...still need word, numbers, dog, and one more butterfly? i'm not understanding the clickable butterflies. has anyone figured it out. Still trying to figure out the 40 paper math puzzle in s8, obviously each diamond needs to add up to 40. Burgers said the center number was 2, going from there. Finally got that math puzzle. Ginner, you need to do that puzzle to get the last dog. can someone please spoil the clickable butterflies. Oliveya, have you gotten the clue paper with 5 rows of 2-digit numbers? Eliminate the ones with the x by them, then with the numbers that are left, click each butterfly in those same positions that number of times. HINT: Click the top left butterfly 3 times, then the one to the right of it twice. Disregard the colors. Finally out! Game was challenging and long, but a good one. Thanks AVM. ok ill try it. thanks! Yes I have a correct solution too but not 'the' correct solution. Very annoying. TL to BR diagonal 11, 5, 2, 1, 12. Tr to BL diagonal 8, 10, 2, 3, 13. Not going to bother to faff about with all the permutations. 8 13 with walkthroug !